River City Fencing is brainchild of Coach Will Read. As member of Purdue University’s fencing team Mr. Read hoped to bring our sport to Greater Lafayette, Indiana. Years later River City Fencing is managed by Mark Brandyberry and Paul Geraci. River City Fencing is established as a leading source of fencing instruction and competition. Many members are from elementary schools, high schools, home schools and Purdue University. The character of our not-for-profit club provides a mix of artful fencing and practical tournament results. Our sport demands a keen balance of athleticism, mental focus, patience and character. Sportsmanship, dignity and respect for opponents and members are foundations for our club. Fencing is a wonderful recreation, and River City Fencing would like to be your introduction to this Olympic sport. Use our FAQs link to answer many of your initial questions. 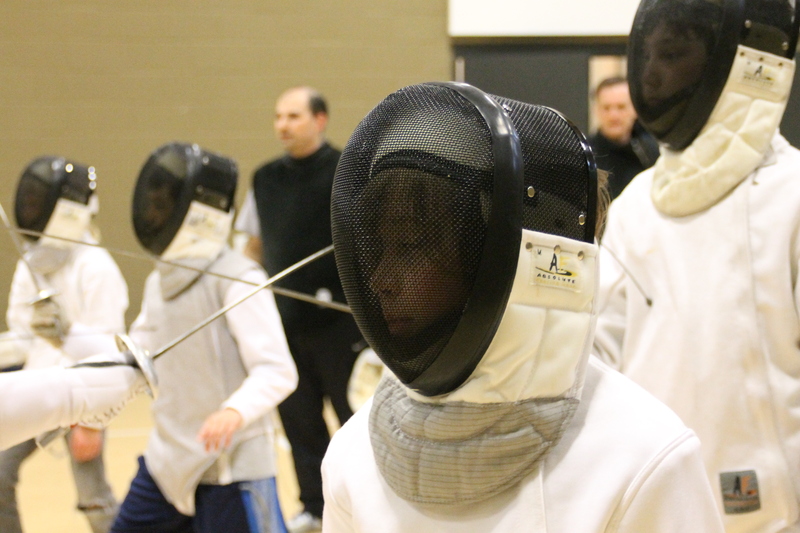 If you’d like see if fencing is right for you, your child or your family feel free to join us.